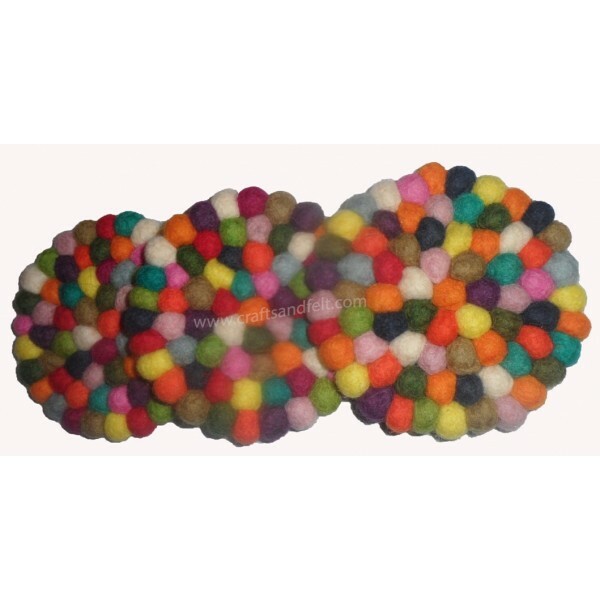 Handmade felt tea coaster wholesale from Nepal. Handmade felt Tea coaster wholesale from Nepal. Made of 100% sheep wool. Our Tea coaster made of 1cm felt ball. We do custom size and colors combinations also.